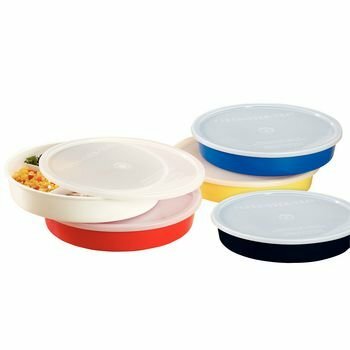 Durable polypropylene dish with lid. Sides are 1-3/4" high for easy scooping; section dividers are 7/8" high. Freezer-to-microwave safe, and top-rack dishwasher safe. 10" diameter. BPA, Phthalates and Latex free.